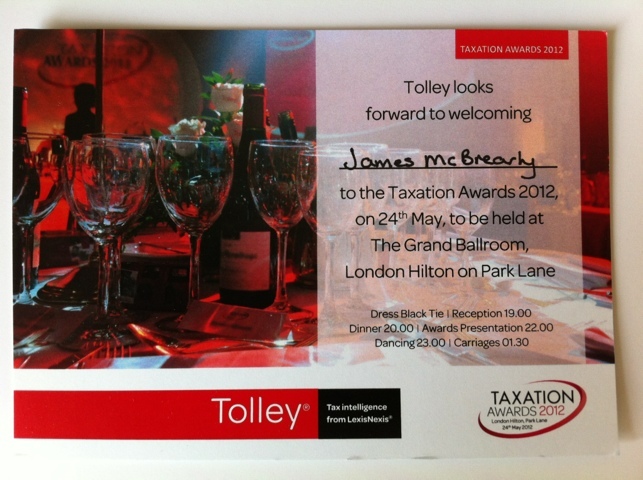 Yesterday saw me back in central London, this time to attend the Tolley Taxation Awards 2012. The awards are for excellence in the UK tax industry and have been running since 2001. They quickly grew to become a major annual event. Each year’s ceremony is attended by around 700 guests, a lucky few of whom take home gongs that are much sought-after by tax professionals throughout the country. Past winners include TaxAid, the charity that provides free tax advice to the under-privileged; Geoff and Diana Jones, winners of the landmark Arctic Systems case; HMRC permanent secretary for tax Dave Hartnett; and a multitude of companies both large and small. Thanks to a competition run by the ATT, I was the winner of a pair of tickets to the awards and attended with my brother who is also an accountant. Our table was located right at the front on the room, being only 6 feet from the stage! 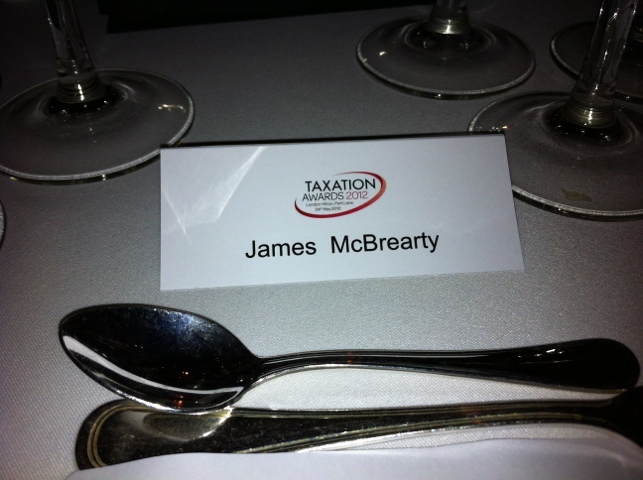 Whilst I was only a guest at this years awards, perhaps taxhelp.uk.com could make the finalists in future years? I have already entered the company for the Accountingweb practice excellence awards to be held later this year, and will be posting about this shortly.